Sorry, guys! I forgot to calculate the scores and post the summary for the advanced features section (e.g. reticles, zero stop, etc). I didn’t notice it until I went to calculate the overall scores! So I’ve gone back and figured that out, which is what this post is about. Don’t worry … the next post published will be the final overall results, I promise. 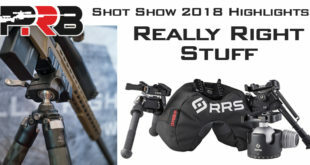 Rifle scope innovation seems to have found a new gear lately, and that has led to a mountain of new features that simply weren’t available a few years ago. While many of these new features are great for shooters, it can be confusing. I’ve attempted to come up with a score that helps give you a rough idea of how many of these advanced features each scope offers. For long-range shooters, the most important of these features is the reticle. So I placed a lot of weight on the reticle choices each scope offers. 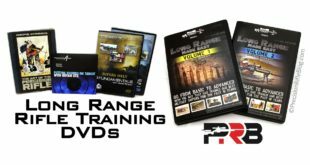 Then I assigned weights to some of the other big features according to the importance veteran long-range shooters might apply to them. Before anyone throws a fit about this not being the “right” breakdown … remember, I’ve published the details for every single piece of data this is based on, so feel free to calculate your own score based on whatever factors you’d like. I believe this is a good general breakdown, so I wanted to accommodate the guys that just want a higher-level overview. 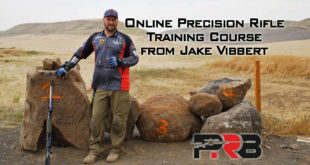 25% Tactical Reticle Choices – This score represents how many reticles you have to select from. While you don’t need 100 choices, you want some variety available so you find one you like that fits the intended use. So, if a scope offered 5 or more different styles of tactical reticles, then it received full credit. That should be enough options to find one you’re comfortable with. If there was only 1 choice, it didn’t get any credit for this element. If there were zero, it didn’t make it into this test! Remember, my definition for tactical reticle is any reticle with evenly spaced marks on both the vertical and horizontal axis. 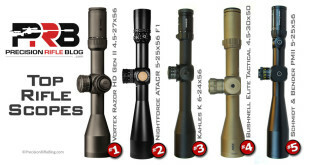 For more info on why I don’t count BDC or simple duplex reticles, see the Reticle post. Also, if there was a thin and thick version of the same reticle, I only counted that as one “style” of reticle. 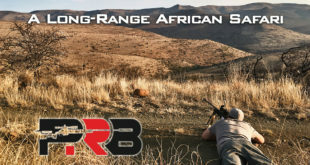 20% First Focal Plane – Many long-range shooters prefer First Focal Plane (FFP) scopes, because of their flexibility over Second Focal Plane (SFP) scopes. The reticle hash marks on FFP scopes are valid at all magnifications, which means the shooter can use the magnification level most appropriate for the situation and still have effective holdover and windage reference marks. The reticle hash marks on SFP scopes are only valid at a specific magnification, typically the highest magnification, which may not be ideal for some shots … but if you want to hold for elevation or wind, you’re forced to shoot at that magnification. If a scope was available in FFP, it received full credit, otherwise it received no credit. 15% Christmas-Tree Reticle Choices – Horus-style, hold-off reticles are becoming more popular among precision rifle shooters. These are essentially gridded reticles that allow you to hold for elevation and wind. Among the top 50 shooters in the Precision Rifle Series, 1 out of 3 use a hold-off reticle (see the data). Many believe a laser-etched reticle is more reliable than mechanical clicks, and the results of this field test seem to agree with that theory. If nothing else, it is good to have options. If a scope had 2 or more Christmas-Tree reticles to choose from it received full credit, and if there were no hold-off reticle options it received no credit. 15% Reticle & Turret Units Match – A turret is indexed with angular units of measure, and a tactical reticle also has hash marked in angular units of measure. Ideally those units would match (i.e. a mil-based reticle, should have mil-based turrets). Lots of scopes (especially low to mid-range scopes) have a mildot reticle with MOA turret adjustments … that doesn’t make a lot of sense, and can make life a lot harder. If they match, you can watch your bullet impact … and if you were off, you simply measure the distance with the reticle then apply that adjustment to the scope. If they don’t match, you get to do a lot of complex math or find yourself holding out in the middle of nowhere. If the scope is available with matching turret and reticle, it received full credit … otherwise it received no credit. 5% Locking Turrets – Lots of shooters prefer a scope with locking turrets. 5% Zero Stop – Zero Stop is another hot feature, which a lot of guys put weight on. Essentially if you could order a scope with a zero stop option (even if it wasn’t standard or was only available with a particular turret), it received credit in the score. 5% Illumination – Illumination has always been used in low light scenarios, but its now becoming increasingly important for scopes with a huge zoom range. Some of these scopes had a zoom ratio of 7 (e.g. 3-27x), and it’s tough for a reticle to not be too thick at the high end or too thin at the low end of that huge zoom range. One option is to go ultra-thin, and then incorporate illumination to help you see the reticle at the low zoom power. 5% CCW Turret – I’d guess over 90% of the shooters in North America are used to using a turret that turns counter-clockwise. In other places in the world, it’s common for that to go the other way. It’s not a huge deal to switch, but it can be painful if you have some scopes in CCW and others in CW. If the scope had an option for a CCW turret, it received credit for this. 5% High-Speed Turret – This has become common-place among these high-end scopes. 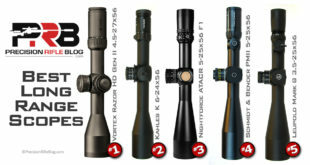 In fact, all of these scopes had high-speed turrets. But I’m trying to develop a benchmark scoring system so that these results could be compared to other scopes in the future, and while all these scopes received credit … not all scopes out there would. OK. I’ve been following the scope reviews since they started. I’m beginning to doubt the consistency and accuracy of the reviews. It looks like you are scoring the Bushnell 3.5-21×50 scope to include Zero Stop. However, pictures of the scope, and an earlier review that shows that it has low “click” density are of a Bushnell DMR which does not have zero stop. The Bushnell ERS has zero stop, but has 10 mils per revolution, not 5. I’m familiar with these scopes because I have several. Since I’m not as familiar with the other scopes, I’m not sure they are being scored consistently either. I didn’t think it was fair to just look at the travel per revolution for the model I happened to get in my hands for testing, so I also looked at similar models and options within the same line of scopes. The dark blue represents the scope I tested, while the light blue is another model that is available for purchase with more travel per revolution. So yes, the ERS has zero stop and high speed turrets. 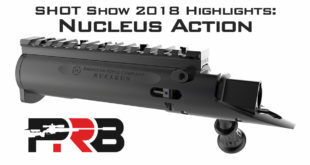 Just like you can buy a Nightforce NXS 5.5-22×56 both with and without Zero Stop (at very different prices) … but Nightforce doesn’t split them into separate models like Bushnell. It’s hard to account for the variance in how manufacturers present stuff like this, so I understand your confusion. But I thought this was the most fair way to look at this stuff across the board. 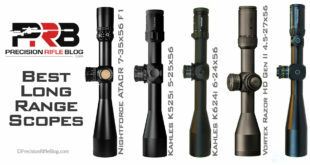 In fact, if you notice on those charts I don’t call out Bushnell DMR 3.5-21×50 … I simply have it labeled Bushnell 3.5-21×50 to indicate that it is that line of Elite Tactical scopes. I should have probably been more explicit in that under the Advanced Features section. I may go back and add that note to the post. Thanks again for the feedback. I understand that the Bushnell Elite Tactical scope gives me the best bag for the money. Where can I by it at a discount price. What is the prefered reticle? Preferred reticle may open up a can of worms. That is mostly personal preference. If it were me, I’d probably go for the G2DMR reticle, which was designed by George Gardner at GA Precision (a very accomplished and well-respected shooter), or the Horus H59 or Horus TRMR2 reticle. If you made me pick right now, I’d probably go TRMR2. But it really is mostly personal preference, and dependent on your intended application. Liking what I’m seeing so far with my scope selection. Thanks for your reviews of all the scopes. Hello, I do not think it’s fair to give a 20% FFP riflescope for being out and let those who are in SFP. You had told me earlier that the differences between FFP and SFP were not which are considered as important. Also I do not think right, discount score for not having a Christmas Tree. Both the focal plane and reticle as are elections should leave out of these assessments to be fair to all ranges. Before anyone throws a fit about this not being the “right” breakdown … remember, I’ve published the details for every single piece of data this is based on, so feel free to calculate your own score based on whatever factors you’d like. So calculate your own scores Hernando! I put 400 hours into this, maybe spend 30 minutes of your own time doing calculations instead of belly-aching! In case anyone is wondering, Hernado has complained multiple times about the validity of including both FFP & SFP scopes in this test. I feel like I’ve been more than gracious with him up to this point, but I’m tired of his constant complaining. Thank you for all of the hours that you have put into this effort. This is an excellent breakdown and unique categorization approach to evaluating optics holistically, based of course upon the industry trending. Is there any chance that we as a community could coolect and submit data points from optics that may not be listed on here? I would love to see this turned into a living document and wherever possible in order to make that happen. Thanks for the kind words. I love the idea of incorporating collective knowledge from the community. What type of data did you have in mind?